REFLECTIONS: This is #9 of 10 for my Spring Break goal. At-home Loungewear is one of my favorite Re-fashions. It is forgiving in technique, style, materials. 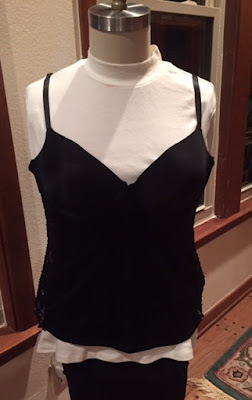 BEFORE: Black spandex cami with under-wires. From the closet, very well made, but it was never comfortable. Under-wires were already removed. This left a light bra shape. Insert heavy lace knit panels cut from the sleeves of an earlier project. Serge, topstitch. Panels were tapered to prevent underarm gaps. 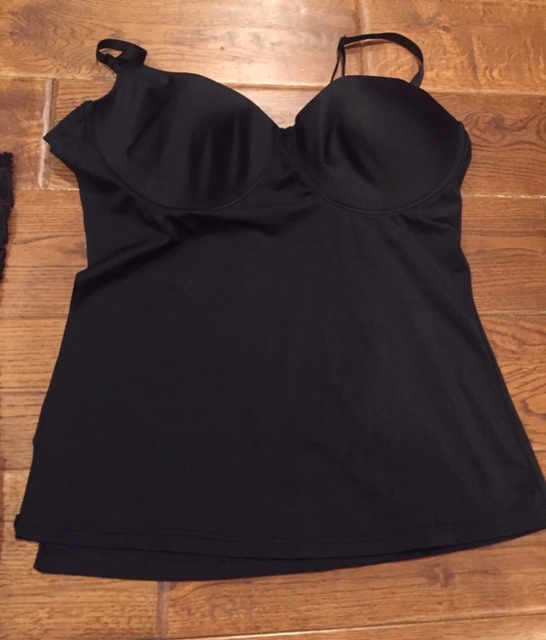 AFTER: Black At-home Loungewear Cami with original light bra shape. 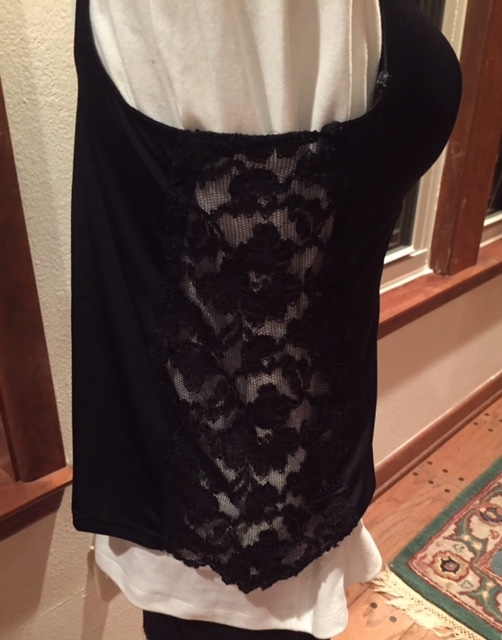 Love these to wear under loungewear and sleepwear to warm the core during cold weather. 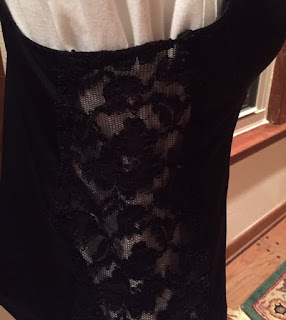 Great idea, I love these Cami tops too. I am impressed by all the refashion you get done. Nice job.